On March 8th of this year, Captain Marvel’s movie was released. Both she and her movie have been met with many criticisms and praises alike, judgement passed upon both her design and her actress. 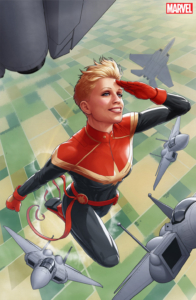 Because of the hype and controversy surrounding the titular Captain Marvel, many people have been searching deep into her history. 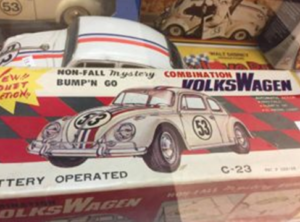 Today we’re going to give you a brief history of every iteration! 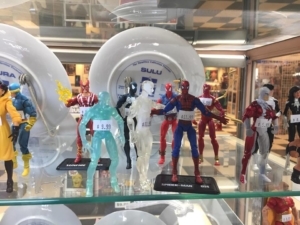 The first Captain Marvel was actually … An alien! He was a ‘Kree’, an alien race underneath a militaristic dictatorship that was expanding rapidly. 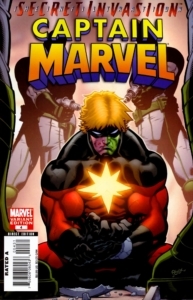 Mar-Vell came to Earth as a spy, eventually falling in love with the planet. This didn’t last long, however, as Mar-Vell developed cancer (?!) and passed away in the 1982 graphic novel, The Death of Captain Marvel. 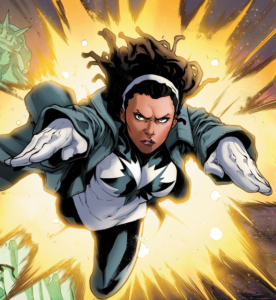 The second captain was a woman named Monica Rambeau, a character who can convert her body into energy of any form, such as radio waves and X-rays. She joined the Avengers and moved up the ranks to being the leader for some time until a tragic fight nearly destroyed her. She came back afterwards as Photon, seeming to end the Captain Marvel legacy again. Look for her in the 2019 movie! 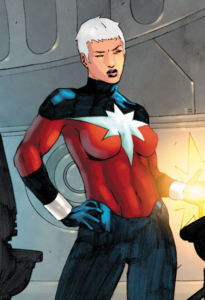 One destroyed universe and alternate timeline later, Genis-Vell’s younger sister, Phyla-Vell, tries to become Captain Marvel while her big brother is on a rampage. 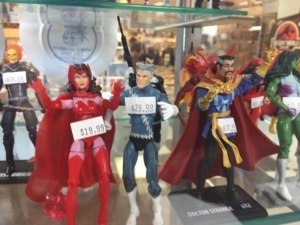 Genis-Vell refuses to give her the title and … That’s all there was to it! 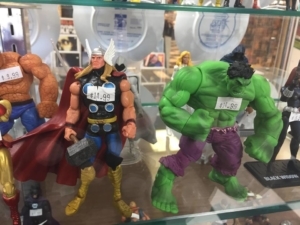 The shortest lived Captain Marvel. Khn’nr (please don’t ask us how to pronounce that) is a Skull, the mortal enemy of the Krees. 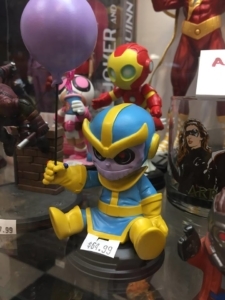 Shapeshifting into the form of Mar-Vell, Khn’nr became a sleeper agent transported to present day Earth under the assumption that he was a hiccup in the space time continuum. When the sleeper agent technology doesn’t work on Khn’nr, an all out battle ensues against the Skrull. Khn’nr is mortally wounded and now realizes how much he loves planet earth like Mar-Vell had. 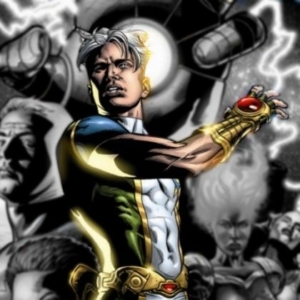 Before he dies, he asks a passing Kree (Noh-Varr) to carry on the helm of Captain Marvel. Originally a Kree prisoner, Noh-Varr escapes his prison, the Cube. 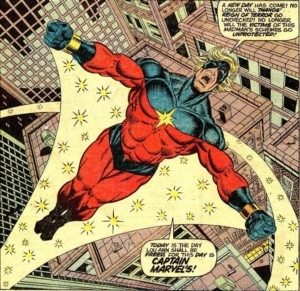 While on the run, he encounters the dying Khn’nr and becomes the newest Captain Marvel. 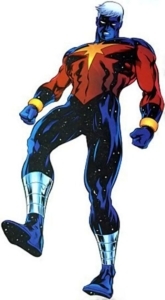 He joins the Dark Avengers (a team of Avengers, but all criminals) but leaves soon afterwards, becoming another considerably short Captain Marvel. 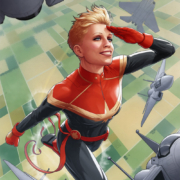 Carol Danvers, originally Ms. Marvel, is caught in an explosion with Mar-Vell, where his genes somehow merge with hers and made her a super heroine. She goes through different stages, such as becoming a heroine named Binary, and later Warbird. 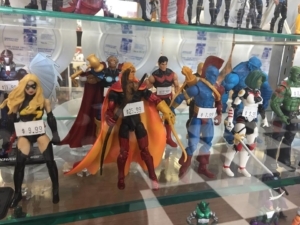 Plotlines and stories eventually got tangled, erased, and redone until as of the 2010s she was Ms. Marvel again, exploring her own backstory by becoming the newest Captain Marvel. 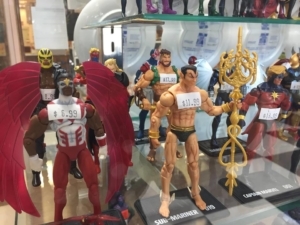 That’s a lot of Captains! Do you have a favorite? Comment below! It’s that time of year — Chocolates, hearts, and pink flowers in every store. It’s Valentine’s Season! Everyone loves a good on-screen romance, so for February’s blog post we are going to be doing a short list of beloved media couples! 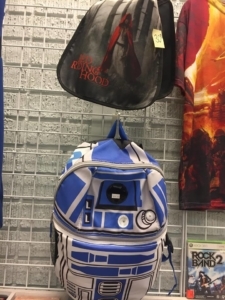 Star Wars is an iconic franchise; How could we not include it? 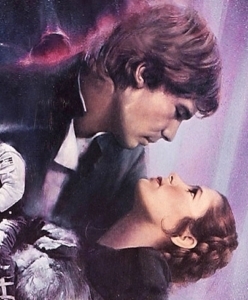 Han and Leia’s chemistry, though heated at first, is fantastic. The scrappy (if not a little naive) Princess Leia seems to soften the grouchy and hardened nature of the smuggler Han Solo. Their turbulent love life stretches through two trilogies until Han is tragically murdered by his son, Ben Solo. Even though they had their ups, downs, and separation, Han and Leia are still considered to be one of the best movie couples. I’m sure many members of the Hot Topic generation would agree: Jack and Sally are a great couple. The charismatic and slightly reckless Jack Skellington was juxtaposed with the gentle and thoughtful Sally the rag doll. Sally has premonitions of Jack’s failure when he tries to become the next Santa Claus, and despite her warnings, his ego gets the best of him. In the film’s finale, he realizes how much Sally cares for him and how much he loves her, making for a charmingly sweet end to the movie. 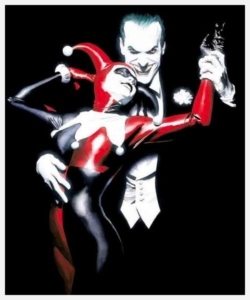 The Joker and Harley Quinn have always had a notoriously strange relationship. They have an almost one-sided love: Harley is obsessed with and pines for the Joker, while the Joker gives her morsels of affection. Across various comics, television shows, and movies, the Joker has either been completely ignorant of Harley’s needs or has been intensely devoted (in a messed up, homicidal way). The relationship has been criticized countlessly, and even though it’s a debatably awful one, it’s considered legendary amongst many fans. Here’s another weird, villainous couple. 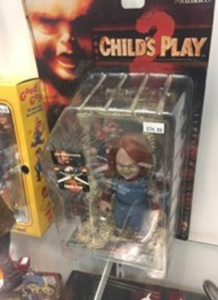 The serial killer Charles Lee Ray (Chucky) and his twisted girlfriend Tiffany Valentine both become dolls after their souls are transferred into the toys. The crude and crass Chucky is complemented by the villainous and rough Tiffany. They slash and destroy people throughout their movies together — even if Tiffany isn’t quite as senselessly violent as Chucky. They have a rocky on-again off-again relationship that always leads back to them working together and thus, cements them as a classic horror movie couple. 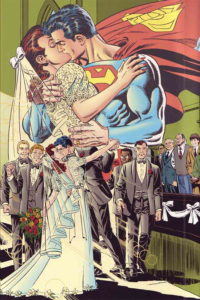 Superman and Lois have been together since Superman’s first introduction in Action Comic #1. The smart and plucky reporter Lois Lane is very attracted to the heroic Superman, while Superman’s less impressive alter ego, Clark Kent, longs for her. The two have an old school Hollywood dynamic, with the dashing and heroic male lead coupled with a stunning and enchanting woman. Lois Lane, however, is not an archetypical damsel in distress — she’s more than capable of taking care of herself by outsmarting a few baddies and aiding Superman in his many quests. These two strong and self sufficient characters are truly a “power couple”! Have we missed anyone? Tell us who your favorite media couple is! Hello from our side of the cosmos! Have you started your holiday shopping yet? Don’t worry — we got you covered for that special someone who is out of this world. 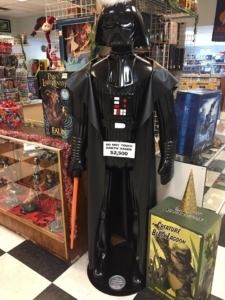 Like, I don’t know, maybe a life size Darth Vader? Well there’s no accounting for taste with some people. 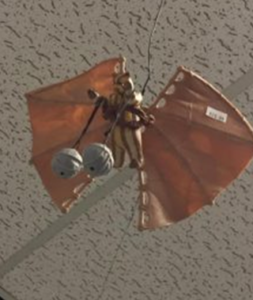 But don’t worry, we have more new additions than just the Lord of all Siths for the holiday season. 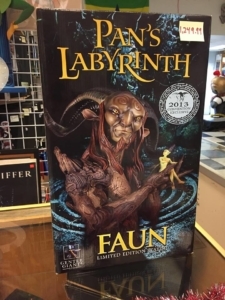 Like check out these brand new Comicon Exclusive Pan’s Labyrinth busts we got in just a few weeks ago. Imagine seeing these two lookers under your tree this year. 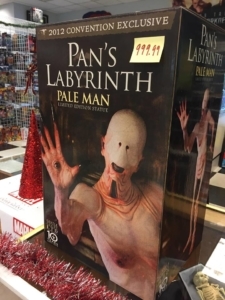 Too creepy for your gift list? No problem. 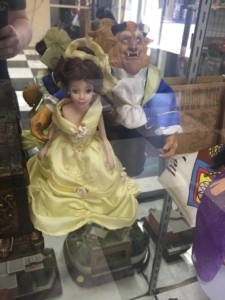 Along with these high end, new items, we also have some great vintage Disney toys walk through our doors, like a vintage Beast figure that transforms into the handsome prince, a 1960’s Prince Adam with all the trappings, and a rare, Snow White’s evil Queen in disguise. 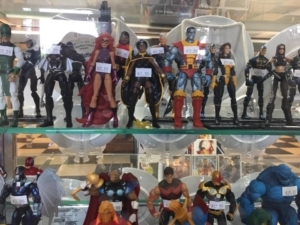 Along with our usual Disney, fantasy, and Star Wars hauls, we have some bright and shiny Marvel figures and busts that are just aching to go to a good home. 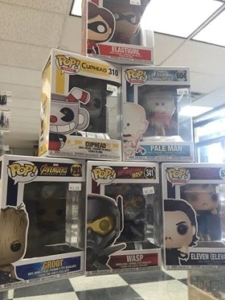 Come pick yours up today! These are only the tip of the iceburg for our new collections. Make sure Blast is on your go-to shopping spots this year, and we can’t wait to see you again in 2019! A quick note: the store will be closed on Christmas and New Years Day so our staff can enjoy the holidays. Thanks! Halloween is over, but the spooky still continues here at Blast. 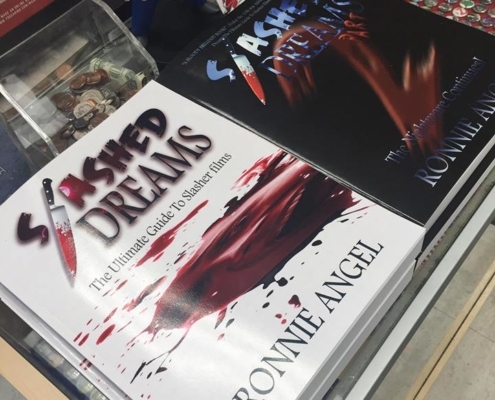 We’ve got signed copies of Slasher Dreams 1&2, the ultimate guides to slasher films. Too much blood and guts for your tastes? Not to worry. 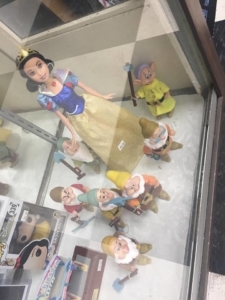 By sheer luck, we managed to get a Beauty and the Beast porcelain doll set, as well as a complete Snow White and the Seven Dwarves series, for all you collectors out there. And of course, we can’t leave you scifi lovers out in the cold. 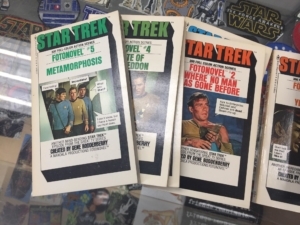 Along with our Disney collectibles, we have a rare collection of Star Trek visual novels from the OG series! And if you haven’t heard already, Christmas is coming early! 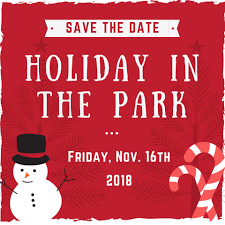 Every year, Holiday in the Park brings the joys of the season to Magnolia, full of music, food, games, and presents. We’ll be open and operating all night, so feel free to stop by and join us for the festivities! That’s Nov. 16th, starting at 5pm. See you there! Can you feel the chill in the air? 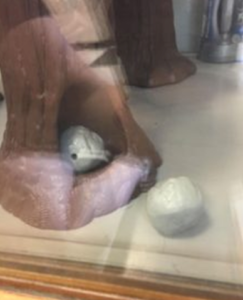 The smell of pumpkins? Hot chocolate? Only one reason for it. It’s fall. Here at Blast, we have plenty of spooky scary skeletons to meet your Halloween needs. 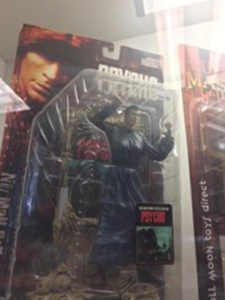 From new monsters joining the family from Palooza to scary deals on Neca’s new releases. 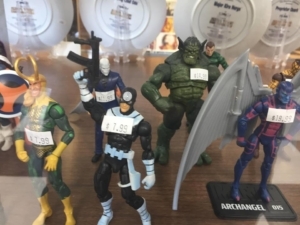 You can get them all here at Blast from the Past! 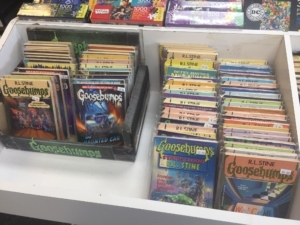 First, how about a bit of light reading? 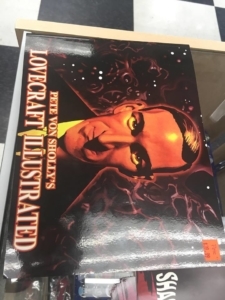 Along with our extensive collection of Goosebumps novels, we just got in an illustrated anthology of Lovecraft’s best stories. 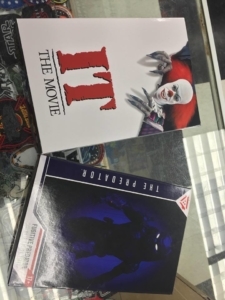 Only two copies available, so get them while they last! Prefer Bowie over Bumps? 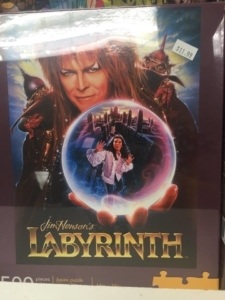 We’re happy to announce a restock of our Labyrinth puzzle, as well as a new puzzle set with the White Duke’s best albums. 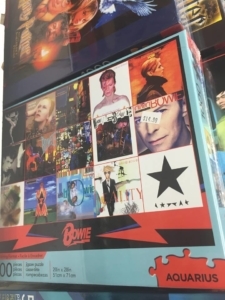 A must for any Ziggy Stardust fan. 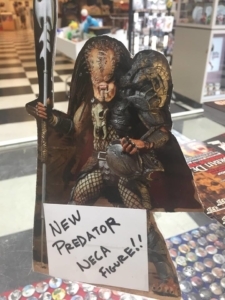 Last month, you might remember that we got a new supply of Predator Neca figures — well this is your update for October. 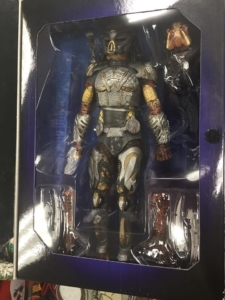 Our Predator posable collector figures are flying off the shelves. 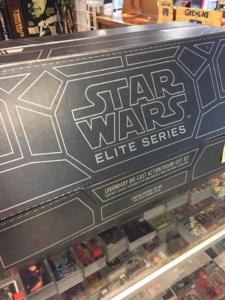 There are only a few left, so get them while you can! And finally, an update on the Burbank community. 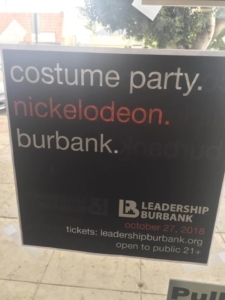 Leadership Burbank is hosting its yearly party on Oct 27th, this time at Nickelodeon studios. It’s 21+, with a dance floor and plenty of events! And before you dance the night away, be sure to swing by the night before for Ladies and Gents Night Out on Oct 26th! We hope to see you there! Until next time, stay spooky. 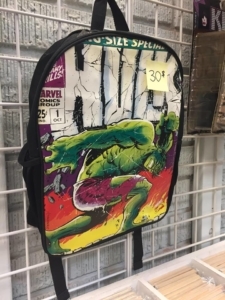 Summer is ending, but there’s no need to wall in those post ComiCon blues. 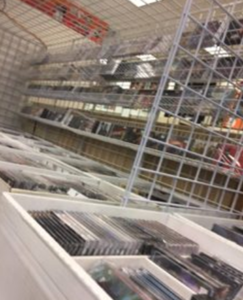 We’ve got plenty of new additions for your personal collections. Not to mention, con season isn’t over yet! Not in school? Happy to have a free and open September? Treat yourself to a little extra horror in prep for Halloween month (yes. month.) 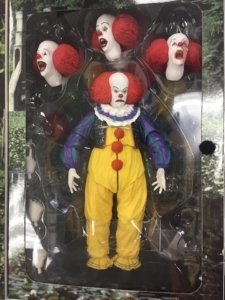 We have new Necca Pennywise and Predator figures ready for the taking! 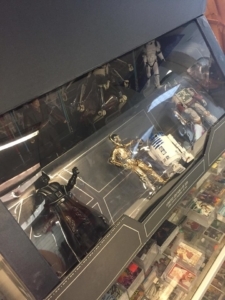 Not to mention the brand spankin’ new Star Wars figure set we have celebrating the three generations of trilogies. Now remember when I mentioned that Con season wasn’t over yet? That’s because, right here in Burbank, we here at Blast have tables for this year’s Son of Monsterpalooza. Tables #39, 40, 41. Even though we’ll be working the event, the store will be open our regular hours. 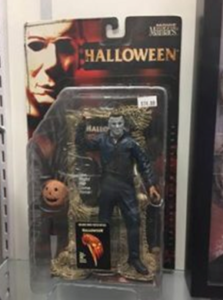 Horror not your style? 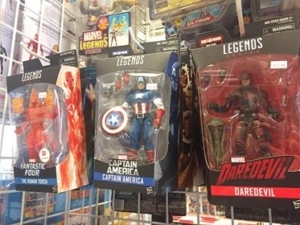 Never fear, Marvel legends is here! 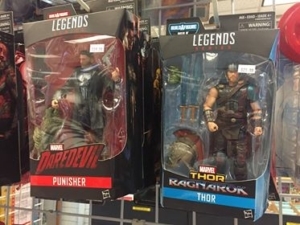 We’ve been fortunate enough to collect new additions to our Superhero wall, including Thor Ragnarok, Netflix’s Daredevil figures, and the Human Torch. 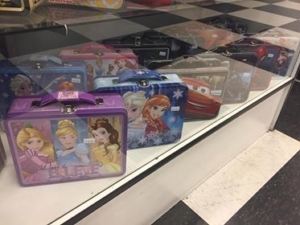 And with school just around the corner, be sure to check out our new childrens’ lunchboxes and fridge magnets. Made especially for the practical geeks among us. And if you haven’t already, be sure to sign up for our newsletter to keep an eye out for events both in and outside the store. That’s right! 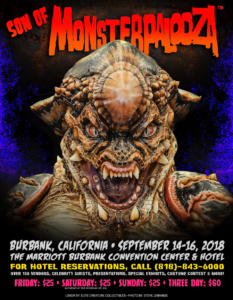 This September, Blast will have its yearly booth at Monsterpalooza. Be sure to swing by, and we’ll see you there! Stay cool! We hope you’re staying cool in this massive heatwave. Though with summer conventions like Midsummer Scream and SD Comic Con, it’s hard to stay home! Our recommendation? 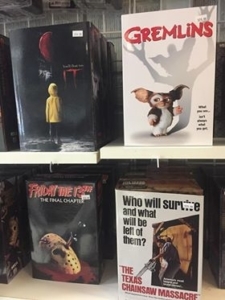 Why not sit under the AC and put on your favorite scary movie? 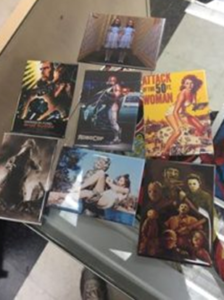 Here at Blast, we just received a whole new family of movie maniacs to keep you company at night. 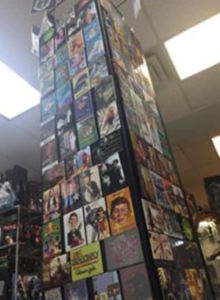 Those of you who’ve been in the store lately might have noticed that our magnets were a little slack recently. Well, we finally have our magnet machine pieces, and we’ve updated our library with some new magnets. 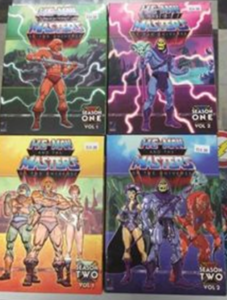 On top of our new selection of magnets, we are also now the owners of an expansive He-Man collection, including playsets, DVD’s and action figures from their creation in the 1980’s! On top of our new collections, this week we have our monthly Mint on Card Comedy show, as well as Horror Trivia Night and Ladies and Gents Night out! Be sure to sign up for our newsletter so that you don’t miss out on anything in the months to come! It’s been an eventful first half of the year for us here at Blast From the Past! 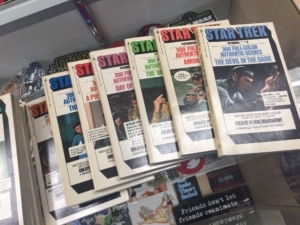 If you haven’t checked out our newsletter yet, first be sure to sign up for our monthly emails, and then come on into the store for events happening this month. 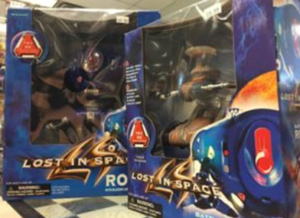 We’ve gotten in a lot of new treasures this month, especially for our scifi lovers! First up, we’ve got an influx of travelers straight from Jupiter 2. 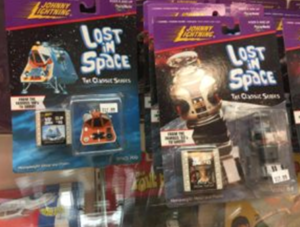 Our new collection of Lost in Space figures stretch from the original 1960’s show to the 1998 remake, almost all pristine in their boxes. And if the Robinson’s aren’t your space family, how about the Skywalker’s? 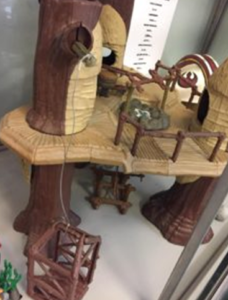 Take a trip to the moon of Endor with this complete Ewok Playset. 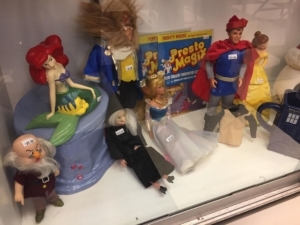 This lucky find was brought to us by a local, and we’re eager to get it to a new, loving home. 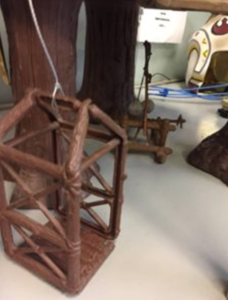 Comes with elevator, catapult and C3PO’s deity chair. 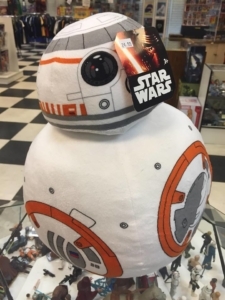 Flying Ewok sold separately. And while we have new additions for our scifi corner, don’t think we’ve forgotten about you horror lovers! 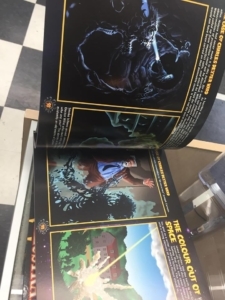 Creature Feature has unfortunately left their Magnolia location, but all is not lost! 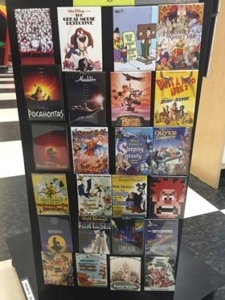 We’ve been lucky enough to accumulate a good portion of their stock of theatrical soundtracks. 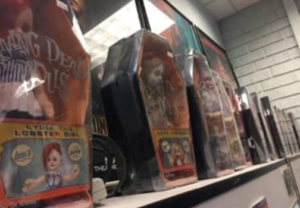 Separately, we managed to get our hands on a collection of Living Dead Dolls! 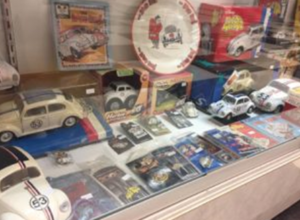 In addition to the creepy crawlies and full soundtracks, we are fortunate enough to have gathered up a collection of Herby the Lovebug original memorabilia, including printed books and to scale models. 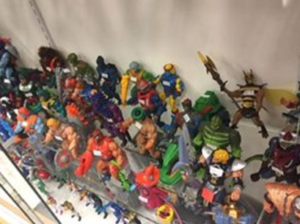 On top of our new collections, you can always visit us for all your geeky needs. And with Father’s Day just around the corner, remember take advantage of our Walking Dad’s Day sale of Walking Dead merchandise! This Friday and Saturday only! As for other in store events, last week’s comedy show was a roaring hit, as always. Next week, be sure to catch our Horror Trivia night and our live reading of the film script Rosemary’s Baby. 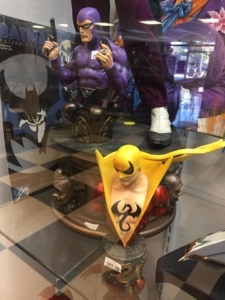 Remember to sign up for our newsletter so you don’t miss this month’s or future events in the store! Listen, the past was a blast. Sometimes it leaves us aghast at how it can go by fast. Or how much will last when the die has been cast. 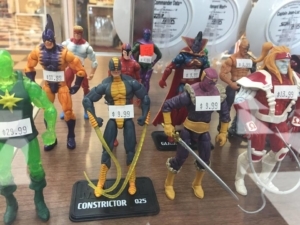 Like a mighty ship mast, the nostalgia is vast. At times it feels unsurpassed, the joy that was amassed. A welcome contrast from the present’s lambaste. When one is harassed by the current forecast, we hold steadfast. We went around and asked, and the response made us enthusiasts.